The Nigerian army has rescued about 200 girls and 93 women from Boko Haram camps in the Sambisa Forest. 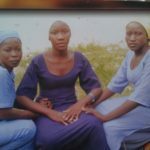 Its spokesman said the freed hostages have yet to be fully identified but confirmed that the abducted Chibok schoolgirls were not among them. ‘The rescue is a rare piece of good news from northeast Nigeria,’ said the BBC’s Nigeria Correspondent; he cautioned ‘we should wait for evidence to confirm the actual numbers freed’. Amnesty International put the number of women and girls kidnapped by Boko Haram at 2000 since January 2014. Very few manage to escape but the stories of two who did was told in a World Watch Monitor story marking one year since the Chibok abductions.